On September 7, 1940 the German Luftwaffe began bombing London and other British cities for over 50 consecutive nights. 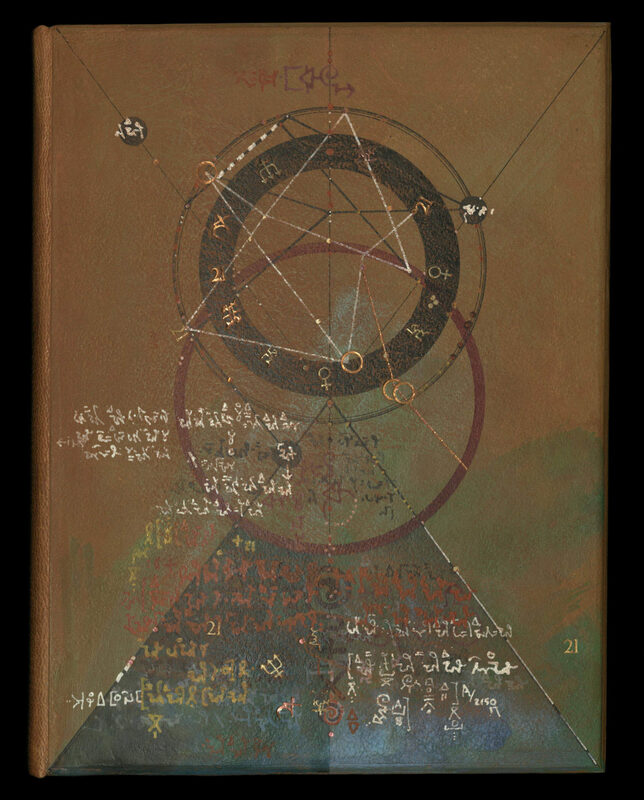 Bound in black goatskin and light brown textured handmade paper, with morocco, reversed leather, and metallic onlays. 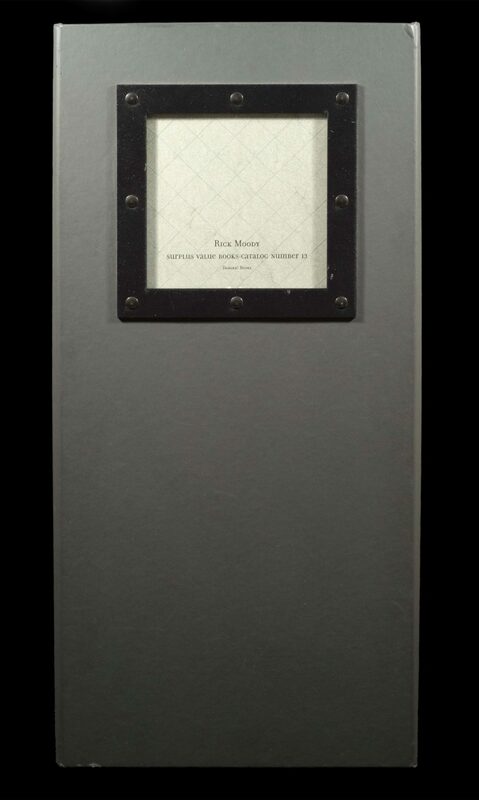 Issued in slate gray cloth clamshell slipcase. 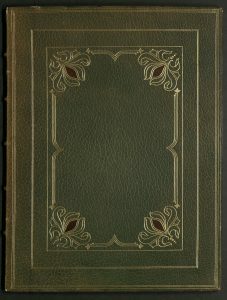 Edition of fifteen copies. Rare Books copy is no. 14, signed by the artist/bookmaker, Susan Allix. Somewhere in the world, something similar is happening now. 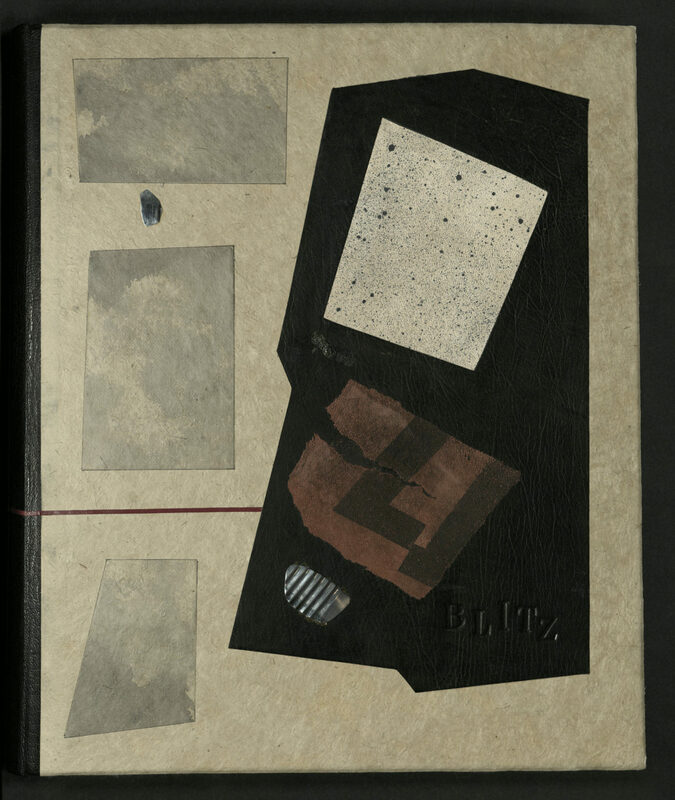 The book is drawn on BFK gray paper that was brush-sized with gelatin and CMC, then under painted with CMC and acrylic paint. 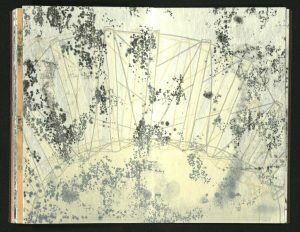 Other materials include ink, Graphite, and watercolor. 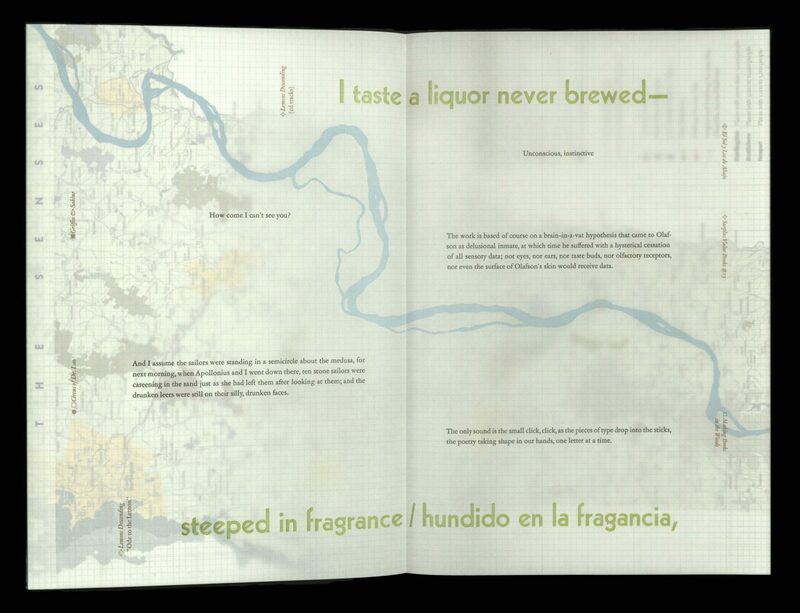 Each folio is sewn onto four raised cords that, on completion of the sewing, were laced into birch plywood boards. The end bands are silk worked over cores of leather. The spine of the book is goatskin. The board pastedowns are painted paper. 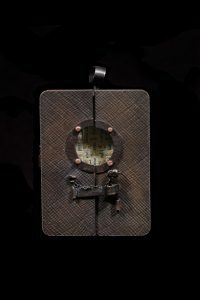 The boards have a small amount of gold tooling suggestive of one part of the history and technology of the art of binding. Otherwise the cover boards are painted. The book is contained in a wooden box. 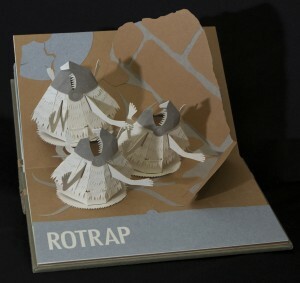 Two-sided leporello with self in-folded covers and removable spines. 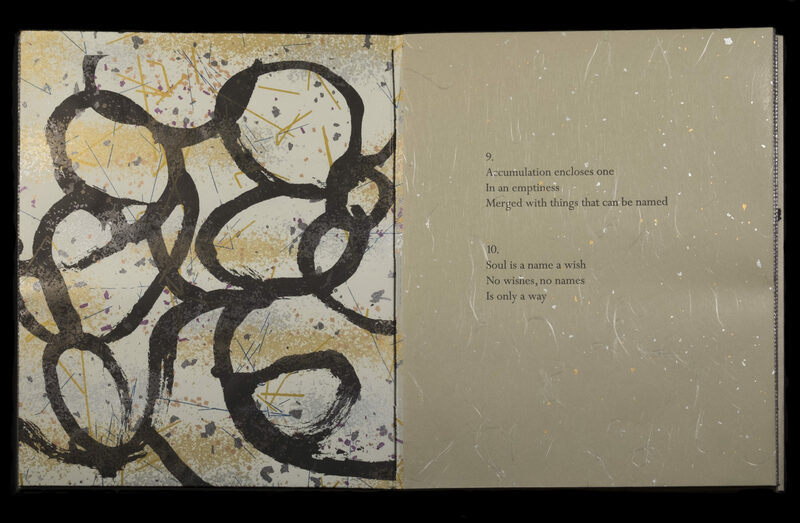 One side is Carolyn Hull’s poem “Hunting the Burn,” laserprinted on Basingwerk, overcoated with wax and pigment; the other side is a panoramic painting by Alicia Bailey, digitally reworked and printed with color inkjet on Arches 90 lb. cover and overcoated with wax. Four of the twelve panels have hand-cut rectangular openings with mixed media insertions. Covers are black Canson with hand applied enamel. Title piece is laserfoil on black paper. Spine pieces are black embossed paper laminated to black Canson. The box is paper-mache, gesso and pigmented wax. 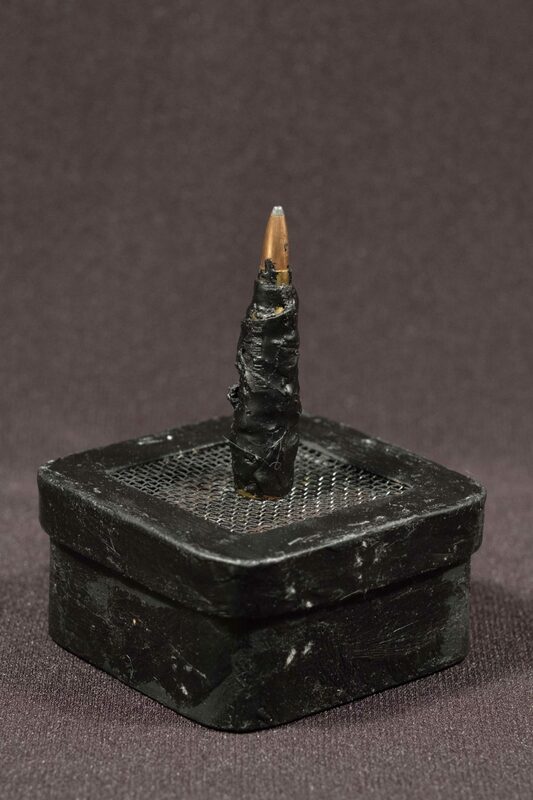 Box top has metal mesh and hemp-wrapped, wax-covered bullet attached. Inside box are stones and feathers. 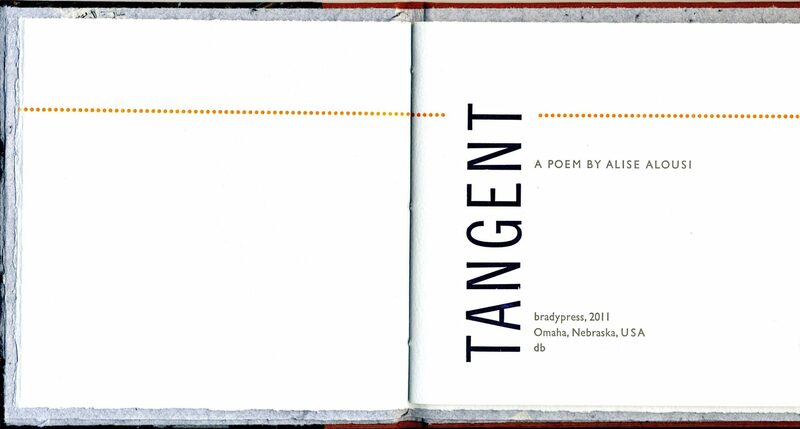 Edition of twenty copies, signed by Alicia Bailey and Carolyn Hull. Rare Books copy is no. 10. From the colophon: “Paper maps from locations along the 43rd parallel are bound in an accordion that structurally supports the main text, which is printed on graph paper and also hinged together as an accordion (opening to 20 ft.)…The unusual double-layer accordion, housed in a printed cloth-covered clamshell box, is co-designed and co-produced by Daniel Kelm at Wide Awake Garage…” Edition of eighty-six plus twelve deluxe copies. Rare books copy is no. 23. 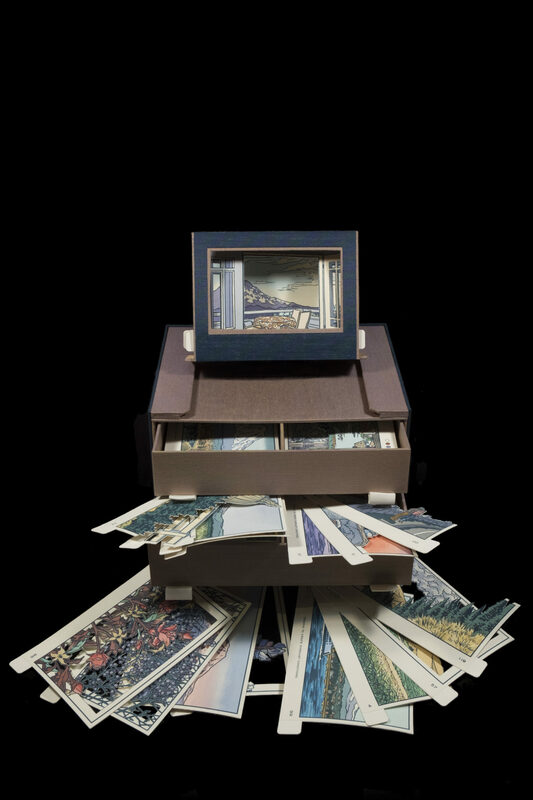 An altered book is a form of mixed media artwork that takes a book from its original form into a different form, altering its meaning. 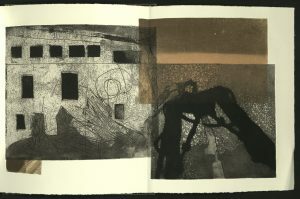 The artist may take an old or new book and cut, tear, glue, burn, fold, paint, add collage, create pop-ups, rubber-stamp, drill, bolt or be-ribbon the book to create a new work that is the expression of the artist. 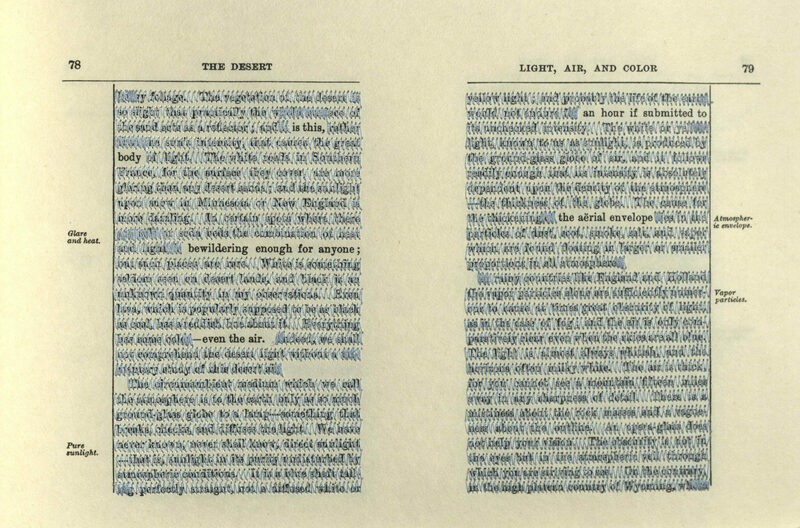 In this case, it is the text that is altered — by sewing over certain passages and leaving others exposed. The text from which Jen Bervin’s poem emerges is The Desert, written by John Van Dyke (1856-1932), a professor of Art History at Rutgers University. Van Dyke, the author of several books on art theory of the Art-For-Art’s-Sake school, claimed to have spent three years in the American Southwest desert with only his fox terrier for company and a pony for transportation. According to Van Dyke, he carried with him a rifle, a pistol, a hatchet, a shovel, blankets, tin pans and cups, dried food and a gallon of water. 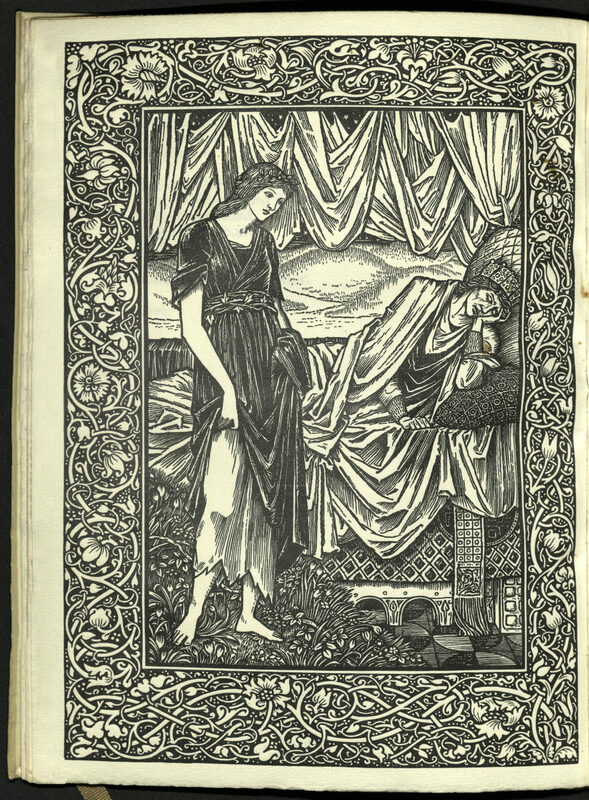 His romantic rhapsody of this trip, published in 1901, was a big hit, extremely influential and remains in print. In fact, Van Dyke saw most of the great desert over which he swooned looking out the windows of trains on his way from one first-class hotel to another. The Desert, version 1901, is the fact-faulted, fantastic hoax of a well-bred, well-educated Easterner, in much the same way that Harvard-educated New Englander Owen Wister’s novel The Virginian (1902) is a glorification of an American West culture that didn’t exist. 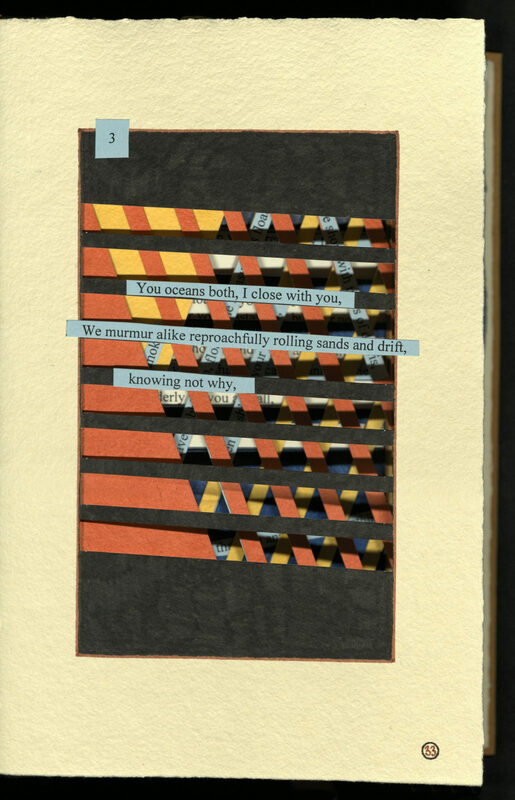 Prose poem adaptation with overlay of zig zag stitches in pale blue thread. Composed and sewn at James Turrell’s Roden Crater on the Wave Books Poetry Bus Tour in October, 2006. Housed in a hinged archival case. 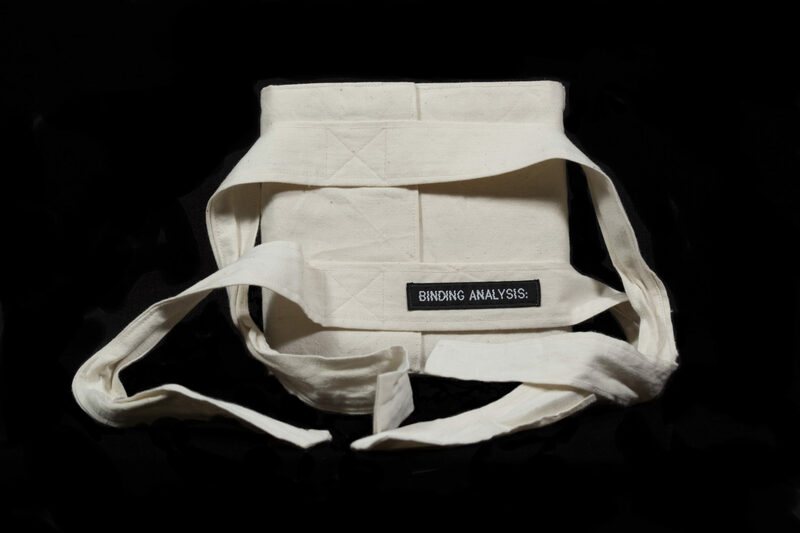 Issued in a wrapper of white muslim cloth and white felt stitched together with blue thread. Handmade paper mounted over board, Chinese Sumi ink, wide-edged pen (Automatic pen), Japanese brush. 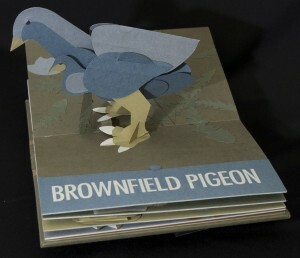 Artist’s statement: “A chapbook produced for Carrier Pigeon magazine as as tip-in, The Latest Things in Kites borrows language and its title from a chapter in the book, Fun for Boys. 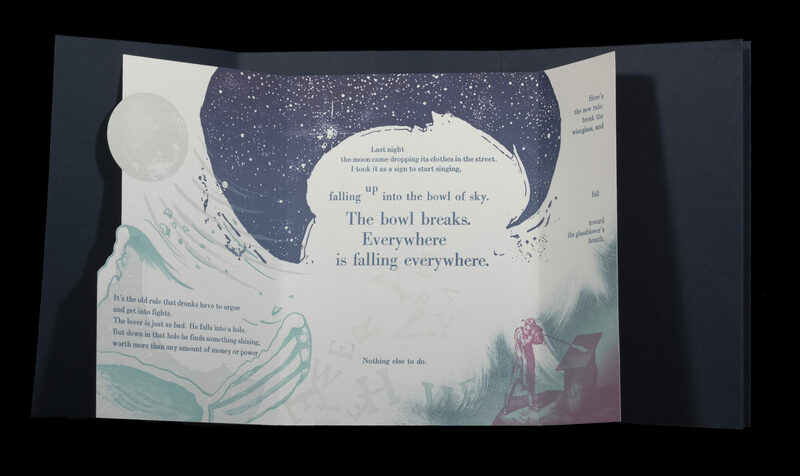 The chapbook is a single-sheet, four-page fold-over with rounded corners and a small embroidery thread tail. Handset in 14pt Goudy Bold and 10pt Goudy with antique copper cuts on Mohawk Via vellum. Hand letterpressed.” Edition of 1200 copies. 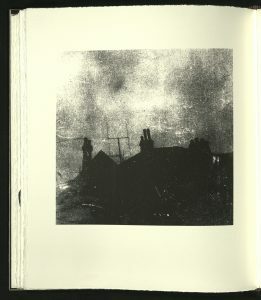 Printed from photopolymer plates and linoleum on blotters using a Vandercook press. Drum leaf binding. 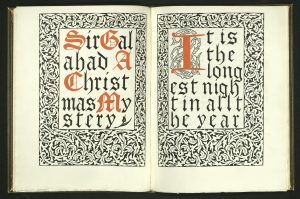 Edition of twenty copies. Rare Books copy is no. 14, signed by the author/bookmaker. 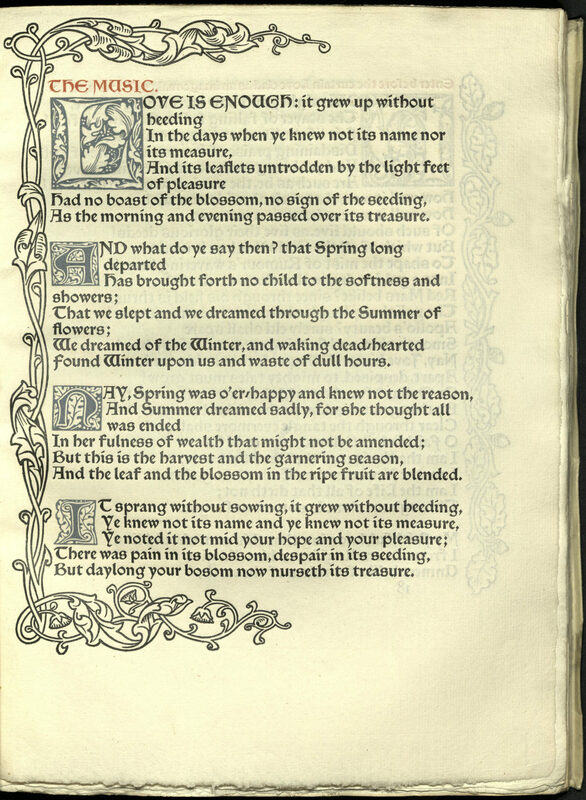 From the colophon: “Text is digitally set in Dante and Bulmer, and printed…on Vandercook number 4.” The images originat[ed] from scanned leaves and tracing of plants. The text is assembled from two sources: the definition of the word ‘CLEAVE’ and instructional language found in tatting manuals. The title of this book is borrowed from a sewing manual of the same name by Emilie Bach. 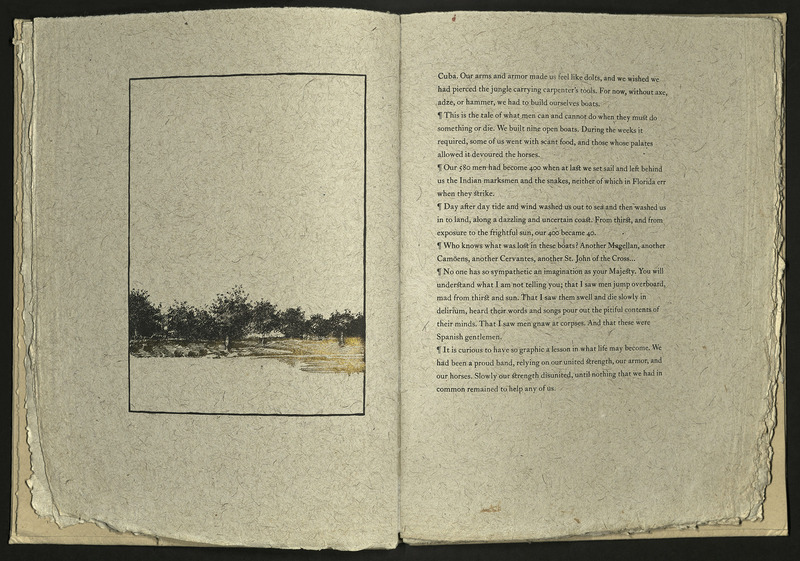 Edition of twenty-four copies. Rare Books copy is no. 5, signed by the author/bookmaker. 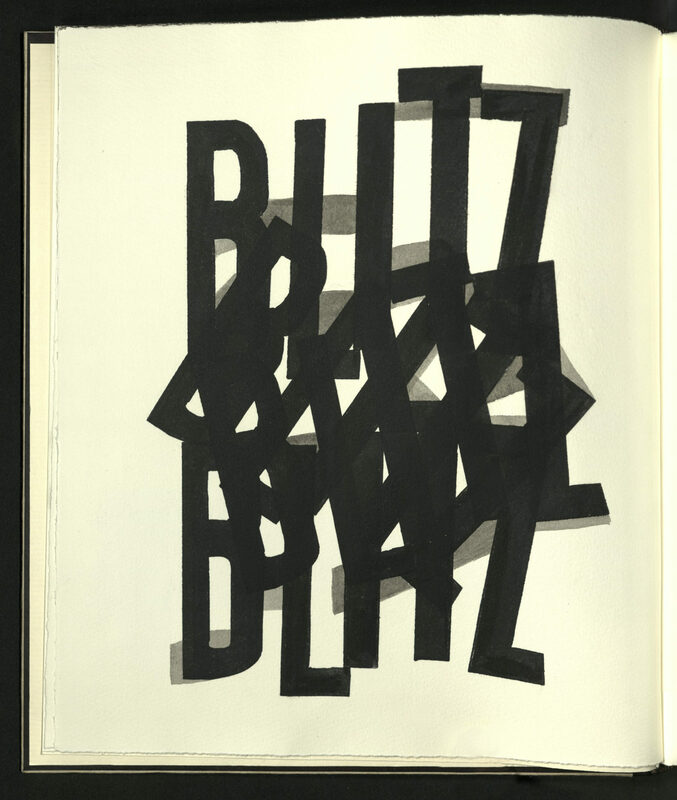 This book was exhibited as part of the fifth annual College Book Arts Association Conference and Annual Meeting, January 2-4, 2014, Salt Lake City, Utah, hosted by the Book Arts Program, J. Willard Marriott Library, The University of Utah. 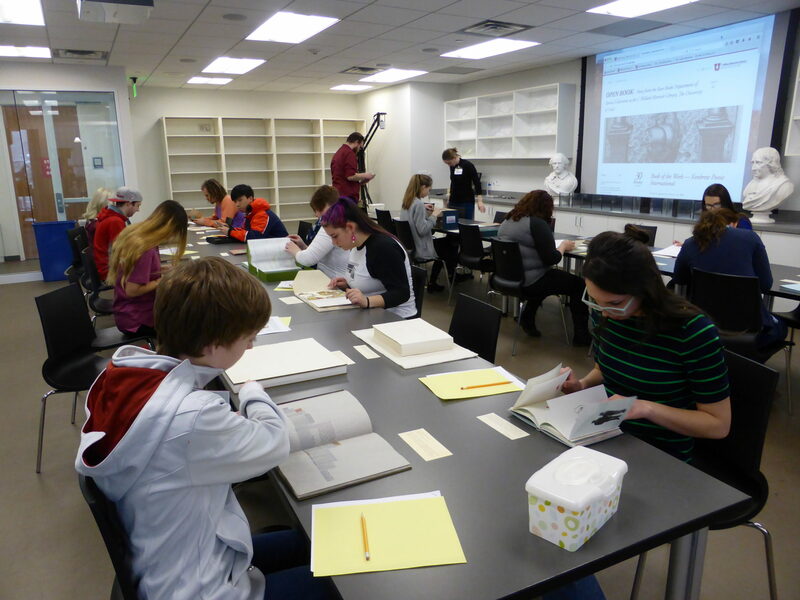 Early in the cold, wet month of February, students from Utah State University made the perilous journey from Logan to the Marriott Library to visit Rare Books. Professor Denisse Gackstetter brought her Introduction to Book Arts class for a tour of the Book Arts Program Studio, after which the students spent two hours looking at forty of our books. Prof. Gackstetter asked her student’s to respond to their visit. Here is some of what they saw and what they had to say about it. 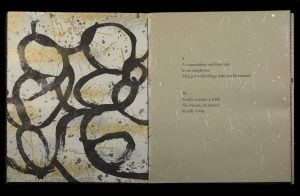 John Yau wrote this poem in 2009 in response to several translations of the “Tao Te Ching” given to him by Max Gimblett. 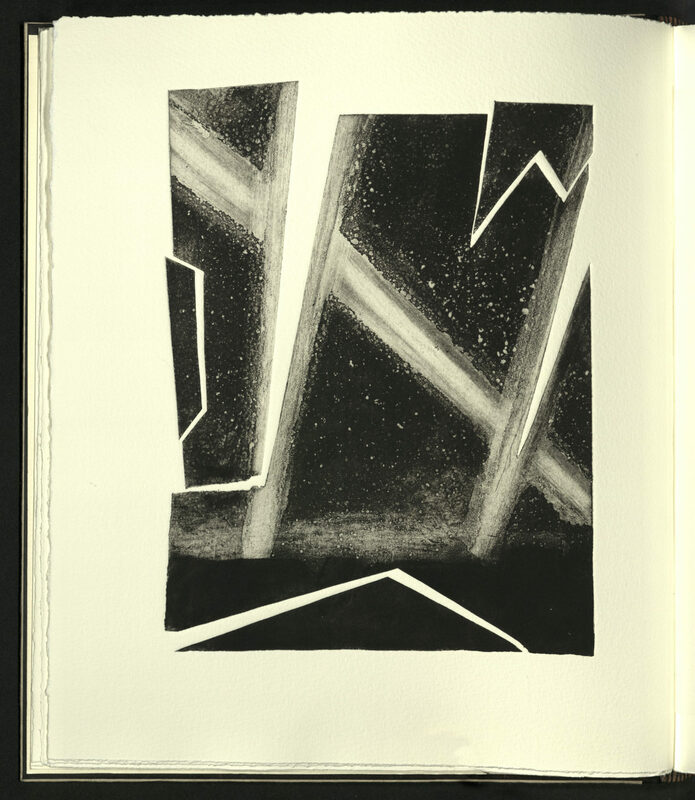 In response to Yau’s manuscript, Gimblett created a series of more than one hundred drawings and collages incorporating rare and unusual handmade papers from around the world. 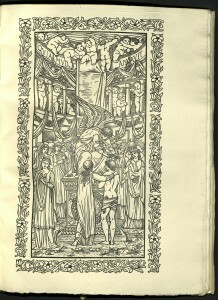 This publication contains the twenty-four part poem and twelve of the illustrations. 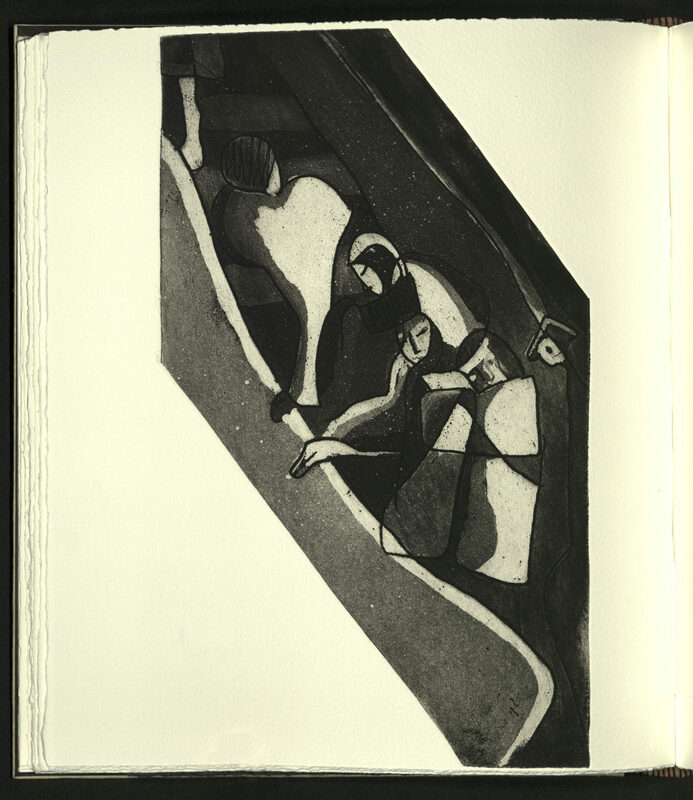 An original ink drawing by Gimblett in black ink on silver is on the cover of each copy. 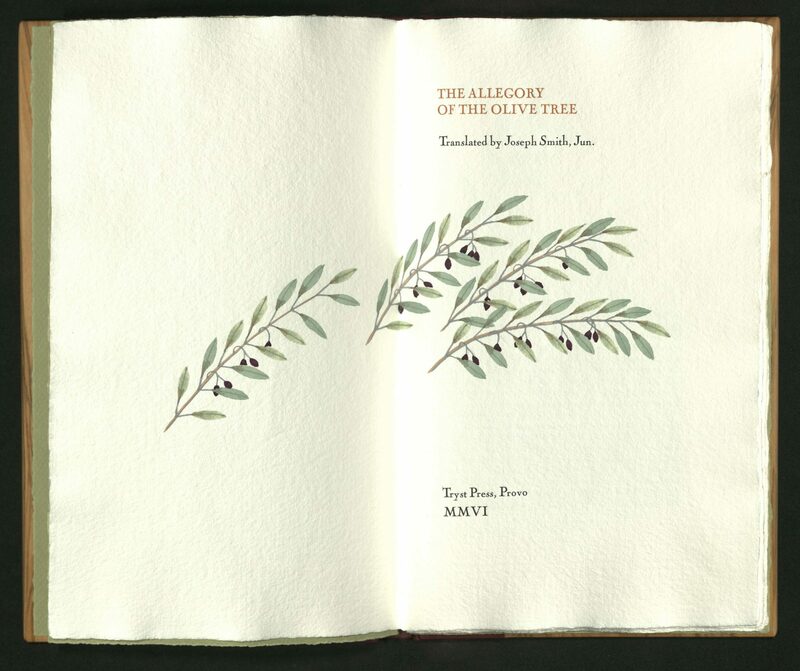 Produced by Diane Bertolo, Steve Clay [founder and owner of Granary Press] and Susan Mills. 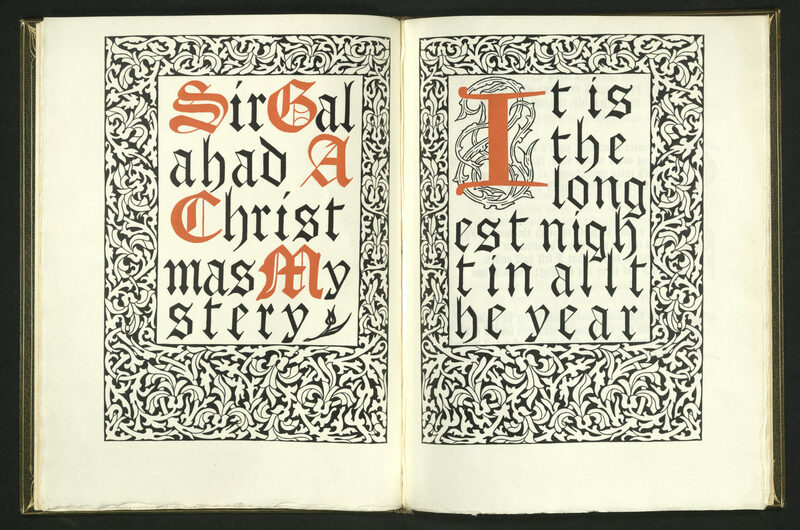 Typography is by Steve Clay, the binding by Susan Mills. 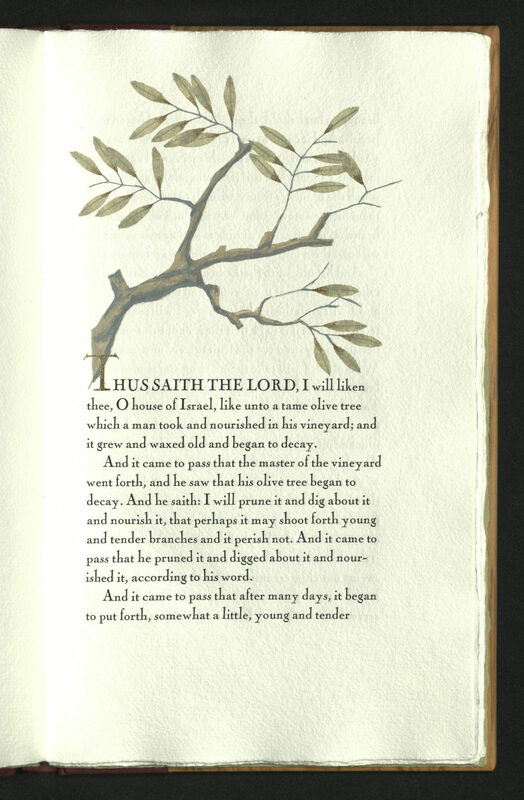 Philip Galo letterpress printed the text and images on double leaves at the Hermetic Press. 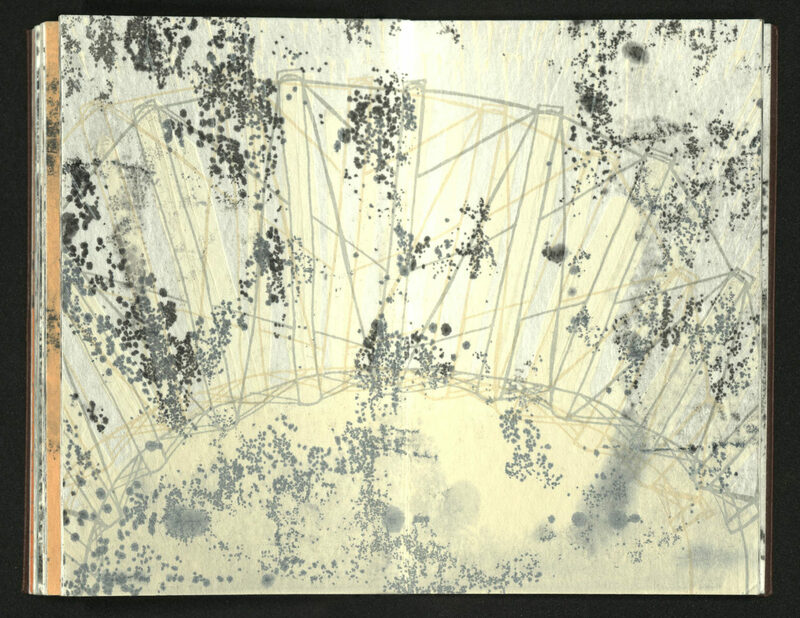 The collages incorporate gold-leaf, photography, photocopy and drawing. 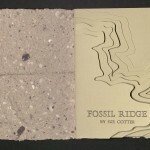 The collages were made at Max Gimblett’s studio with assistance from Matt Jones, Giovanni Forlino and Kristen Reyes. The papers used include Kincami black, Cal Ling autumn, Tamashiki orange, Kingin Furi tan, Sunomi silver, Sunomi kraft, Yuzen cream, Kyoto M25 white, Tairei #1 white, Philippine Banana Bark alabaster and Gampi Smooth 43. 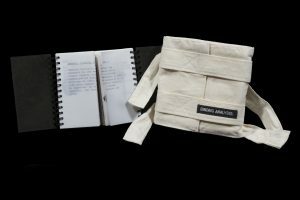 Bound in black board covers, open spine with exposed stitching, a non-adhesive binding. 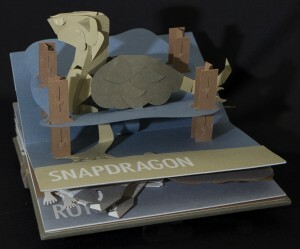 Folded and coupled, the pages are gathered together and sewn to cloth-backed boards. 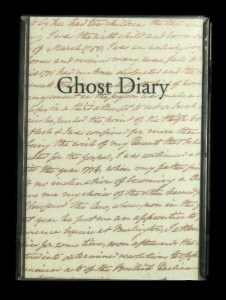 Housed in handmade silver cloth-covered clamshell box with spine label. Edition of thirty-three copies, signed by the poet and the artist. Author and artist Heather Weston holds a degree in Book Arts and works in the mental health profession. 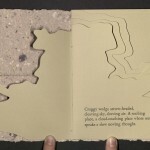 She uses the book form to explore both emotional experience and psychological structure. 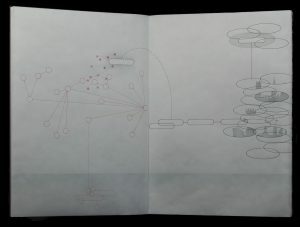 In this context she explores the inextricable link between form and content. 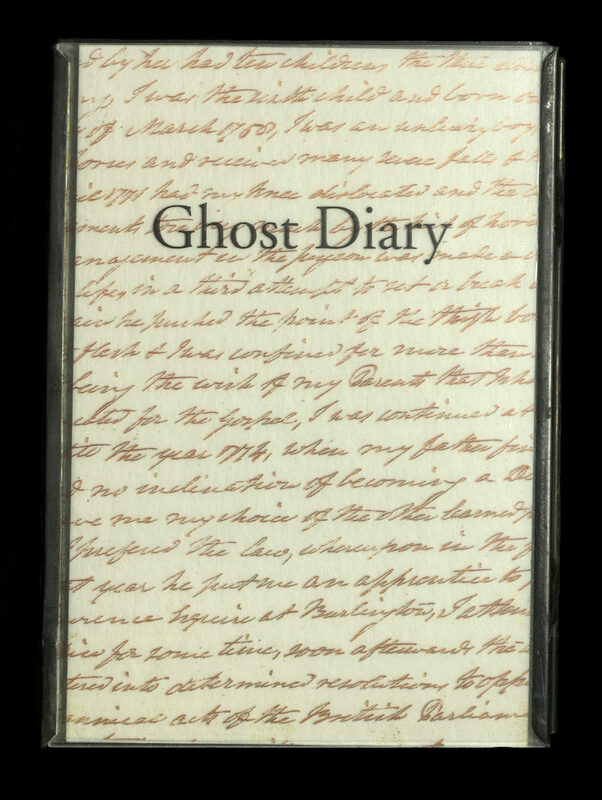 Here, book structure says something about the experience of schizophrenia that text alone could not. 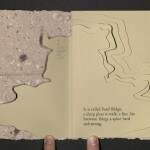 The book is double spiral bound at right and left edges with the pages splitting down the center. 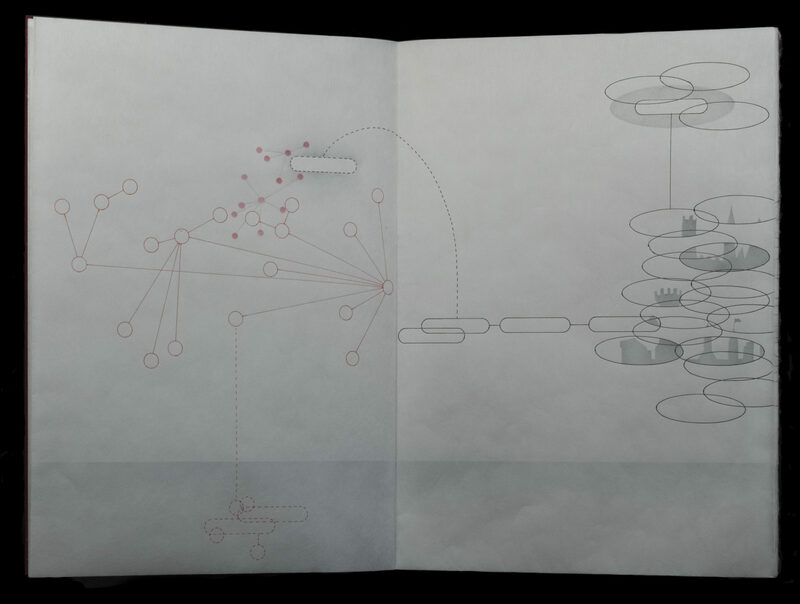 Four separate narratives – one pictorial, two textual, and one structural – unravel concurrently. 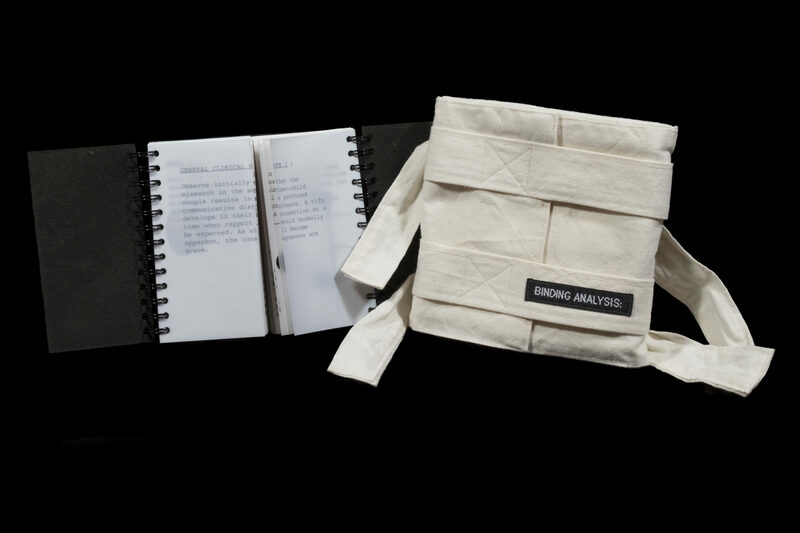 A calico wrapper, with a padded but rigid back panel gives the floppy book the firm containment of a strait jacket. 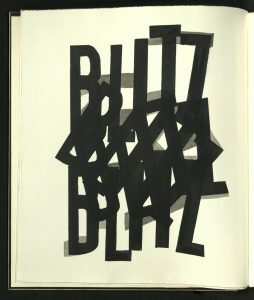 From the colophon: “…[B]ased on a handwritten letter discovered by the artist in the archive of Weir Farm in Wilton, Connecticut, during a residency in the spring of 2001. The letter was written in 1807 by a former Revolutionary War officer, Lieutenant Colonel Jonathon Rhea, to his children on the anniversary of his wife’s death. The  images that accompany the text are original vintage glass negatives that date from the late nineteenth and early twentieth centuries.” Glass panels hinged in accordion format. Issued in collapsible black box with a tie string. 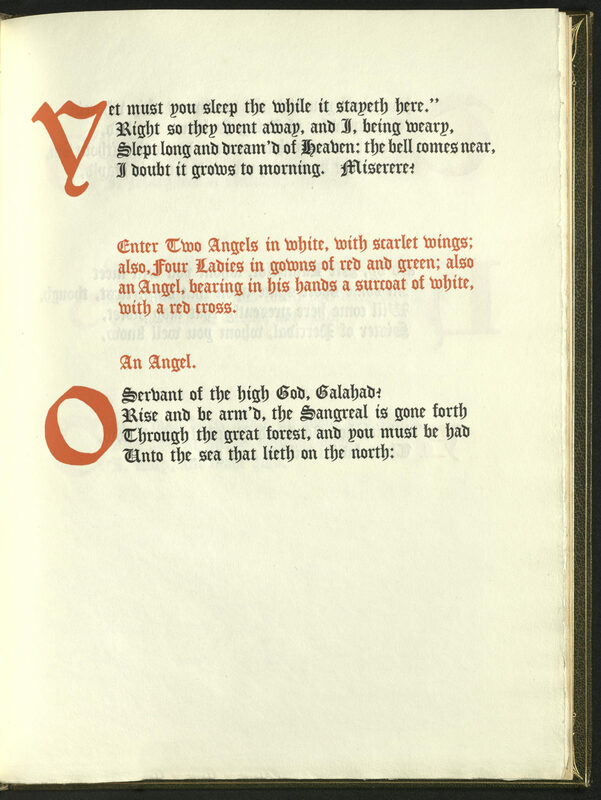 Edition of twenty-five copies. University of Utah copy is lettered and signed by the artist. Tacoma, WA: Anagram Press, 2012? 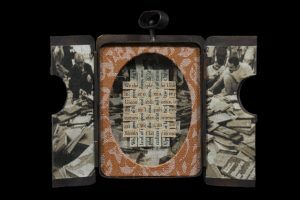 From the colophon: “The text that appears on the woven token in triptych was taken from the preambles to the constitutions of the United States and Iraq. 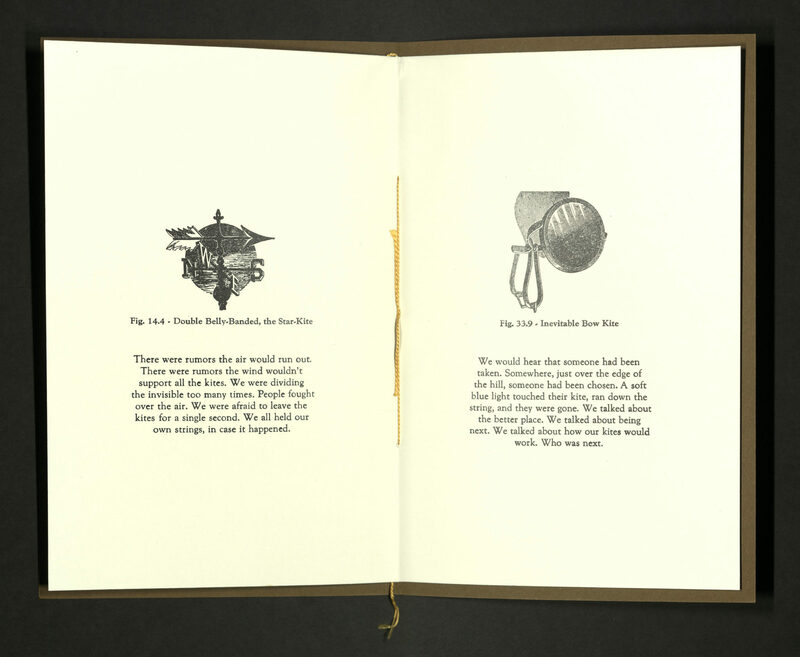 The image that surrounds the token is of a bookseller’s stall on Al-Mutanabbi Street in Baghdad prior to the bombing in 2007, and is used by permission of the Al-Mutanabbi Street coalition.” Letterpress printed. Designed by Julie Chen. Copper locket fabricated by Christina Kemp, based on a design by Julie Chen. 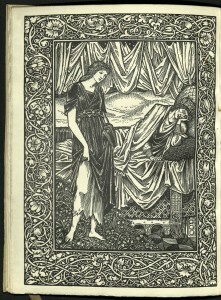 Edition of fifty copies. University of Utah copy is no. 43, signed by the artist. A flecked, navy wrapper is folded in three, housing the primary sheet which is, in turn, folded into three, unequal sections. Letterpress from Bodoni and Times Roman on Fabriano Rosaspina Bianco and Fox River Confetti wrapper. 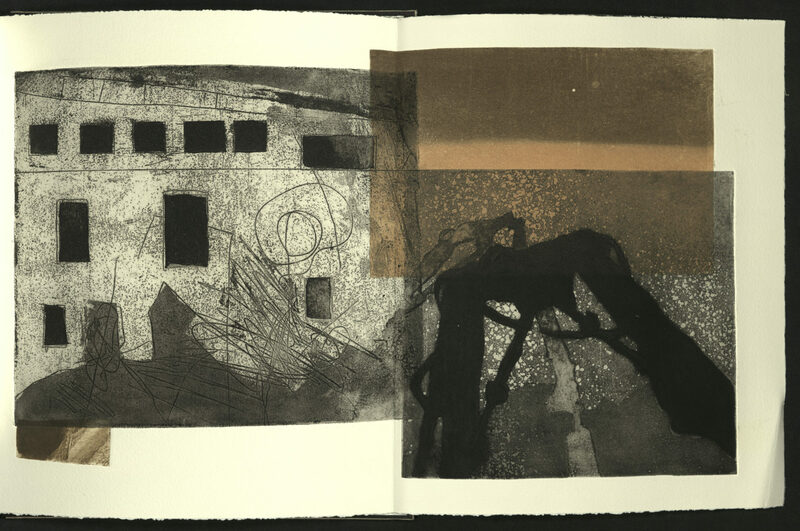 Images created using polymer plates, monotypes, linocut, and screen printing. 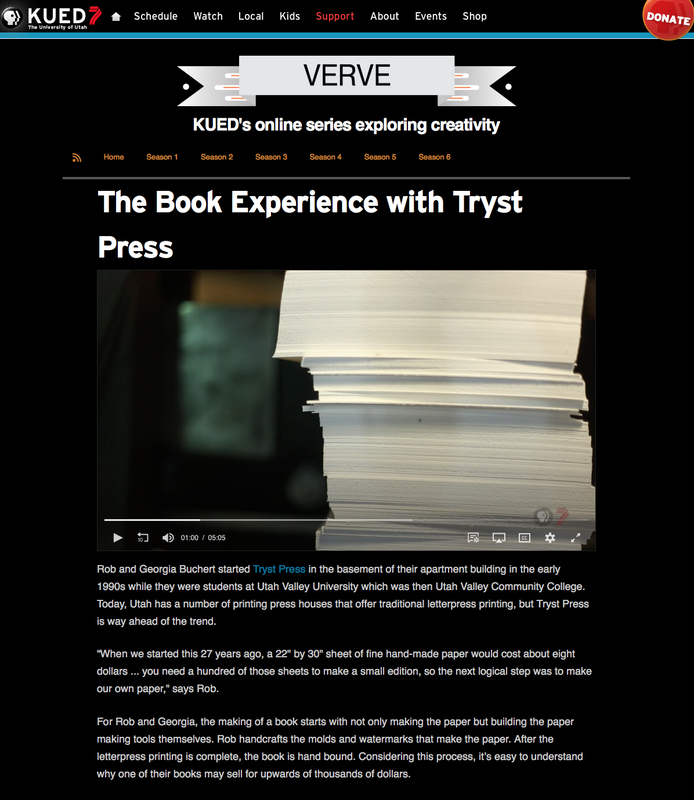 Edition of forty-five copies. University of Utah copy is no. 19. A sequential, narrative story with abstract imagery and no text, a conversation using only symbols. 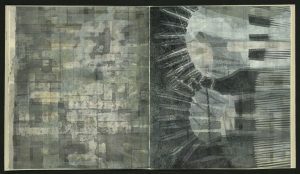 From the artist’s website: “…a two-person conversation using a vocabulary of stencils and hand-drawn symbols shown in a key. What is said and what is thought, works spoken in a jumble without stopping, a rational response and an activated imagination are all carefully plotted and diagrammed. Two different communication styles clash, merge, and ultimately influence each other as one person finally speaks her mind.” Mulberry paper, Micron pens, book cloth, pochoir. 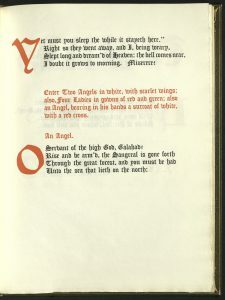 Edition of five copies. 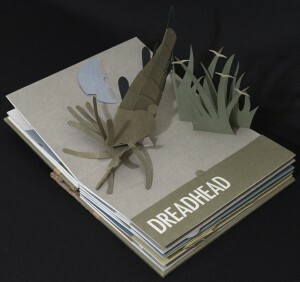 Photographs of books by Scott Beadles. Photographs of readers by Dennise Gackstetter. Thanks, Dennise! 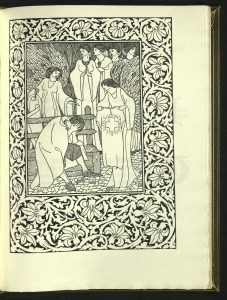 William Morris worked with prominent artists of his time to develop collaborations that redefined the artist’s relationship to the studio and the factory. 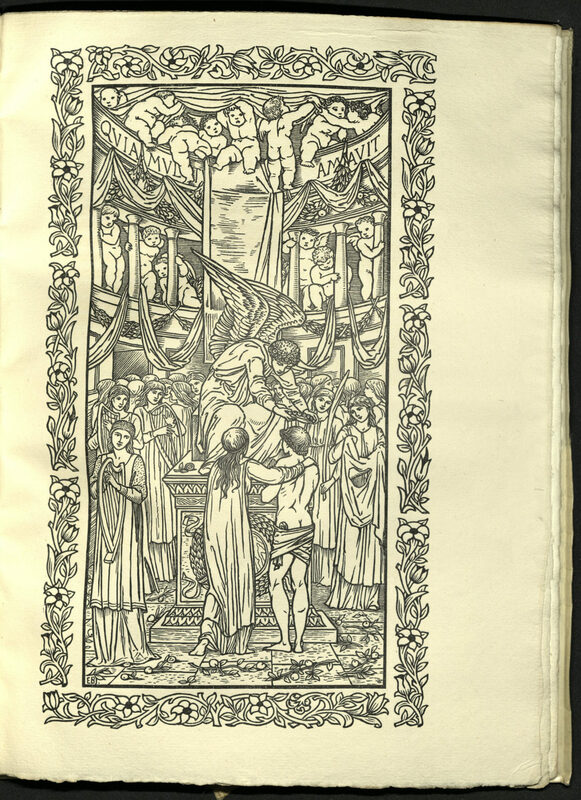 Morris acheived this through a mastery of craft techniques, such as lettepress printing, and a rejection of industrial processes. 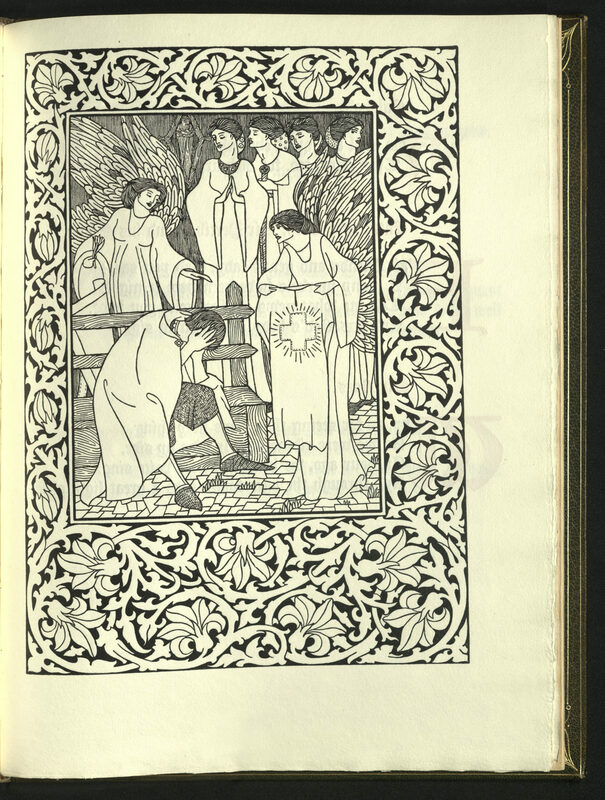 Love is Enough is one of only two Kelmscott Press books printed in three colors – blue, red, and black. 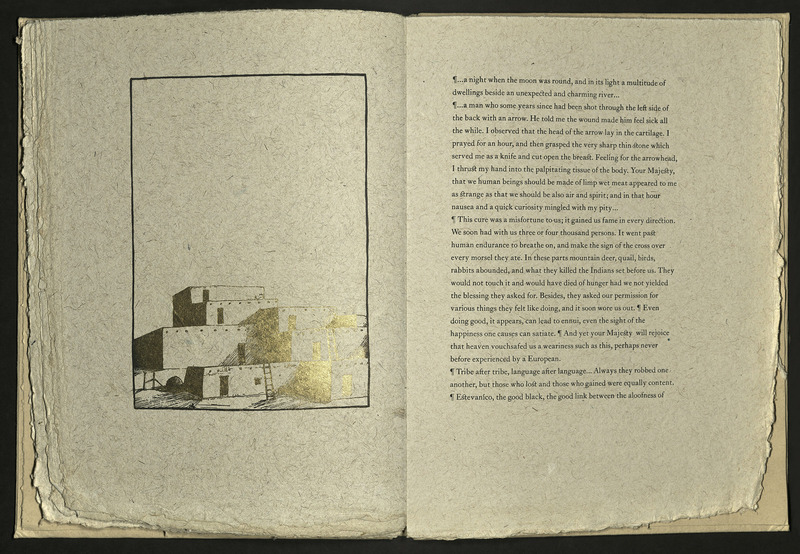 Bound in full limp vellum with gilt spine, green silk ties. 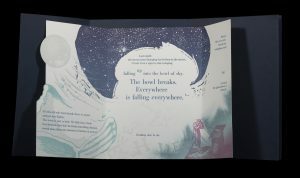 Edition of three hundred copies on handmade paper. 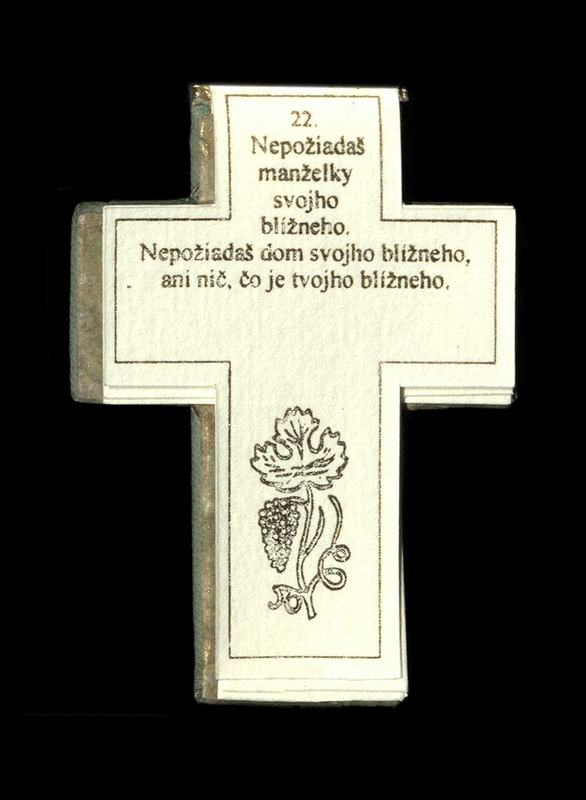 The ten commandments of the Old Testament in Latin, Czech, English, German, French, Italian, Spanish, Portuguese, Dutch, and Slovak designed as a cross. Handmade paper printed in gold. 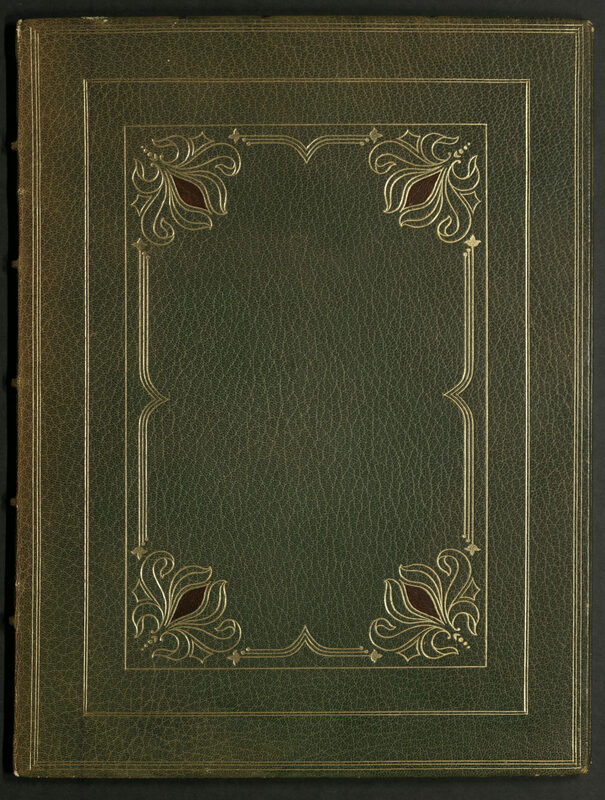 Bound in pale turquoise morocco with binder’s blindstamped monogram on rear cover, upper cover with colored morocco inlays, comprising a central square cross. 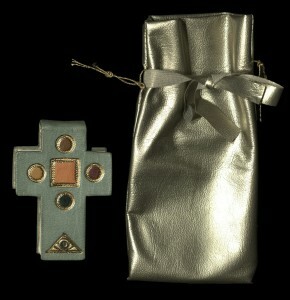 Issued in gold pouch. 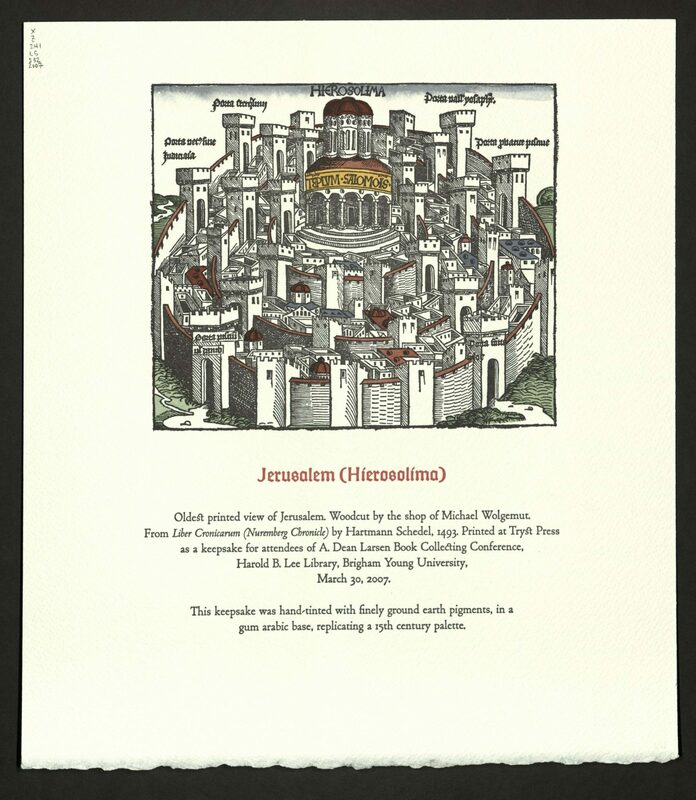 Edition of one hundred copies, numbered and signed by the artists. University of Utah copy is no. 6. This is part three of a four part series of discussions about climate change and fossil fuel divestment, based on book readings. Constructed of handmade cotton/abaca paper, book board, Arches watercolor board and linen thread. Type set digitally in Joanna and printed from polymer plates. 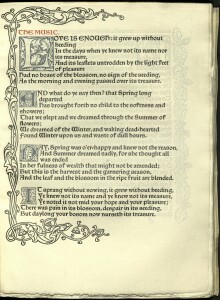 Edition of fifteen copies. University of Utah copy is no. 7, signed by the author. Handset type. Leaves hand cut, sewn in binding of handmade paper.